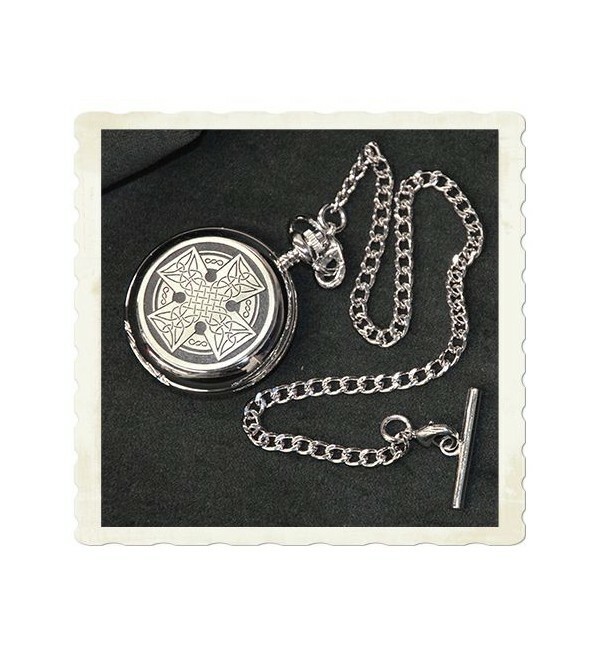 This elegant pocket watch is for the gentleman (or lady) who loves the class of older timepieces. A pewter Celtic Cross medallion on the front face is only the beginning. This elegant pocket watch is for the gentleman (or lady) who loves the class of older timepieces. 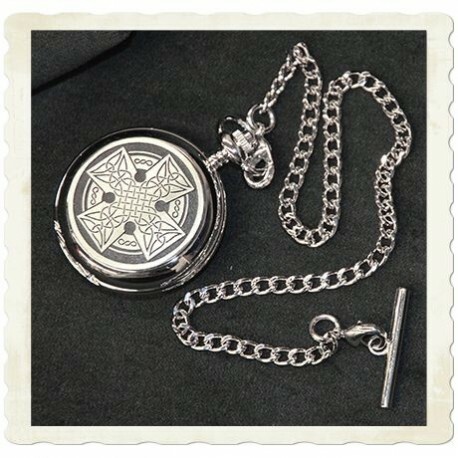 A pewter Celtic Cross medallion on the front face is only the beginning. Both sides of this watch can be opened by pressing down on the stem. The front reveals the watch face with a window into the mechanical clockworks and the rear opens to reveal another view of the clockworks. Yes, this is a mechanical watch that requires winding - truly classic in design. Outer rear cover also has space for engraving. Includes 12-inch chain. Packaged in a presentation gift box.